Wee Stinky’s spadix tipped over around 3 p.m. December 19. This is normal and expected and marks the unofficial end of the plant’s fourth bloom. 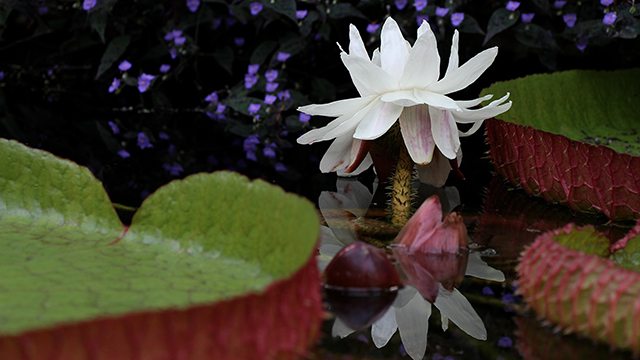 The conservatory is open regular hours (10 a.m. to 3 p.m.) Thursday and Friday. But will be closed for winter break until January 2. Filed Under: Featured plants, What's happening? If you missed out on the full-on olfactory assault Wee Stinky put on last night, you can still stop by for a whiff of the leftovers. Wee Stinky still looks pretty good to, considering it’s still the morning after. 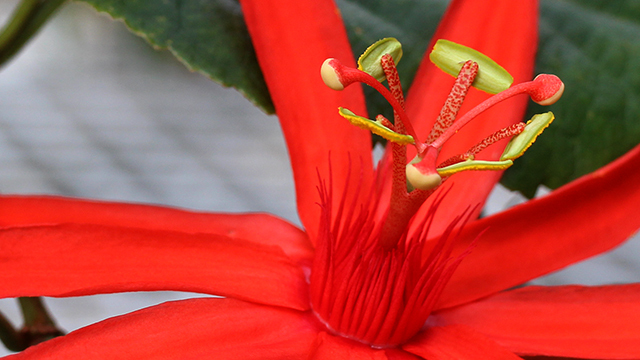 The Conservatory is closed Sunday, but will resume normal hours Monday: 10 a.m. to 3 p.m. weekdays. Wee Stinky early on December 15. About 1 p.m. this afternoon, Wee Stinky’s spathe started pulling back from the spadix, the earliest onset for any of our flowerings here at Cornell. So tonight is the night if you want to get a whiff up close, and we’re extending our hours. Wee Stinky stood 87 inches this morning, equaling its height last time it bloomed in 2016. When exactly will Wee Stinky bloom? We’re never exactly sure until late in the day when its spathe finally unfurls. 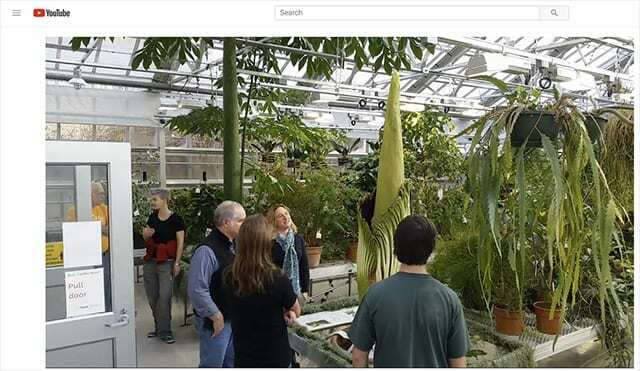 But it appears that the Titan arum will win the race to release its stench before the Cornell campus closes for the holidays. 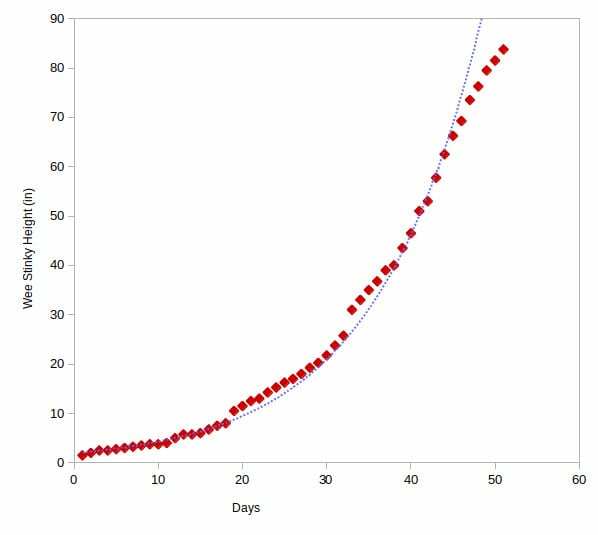 Horticulture graduate student Zachary Stansell helpfully charted Wee Stinky’s growth since it broke dormancy through Wednesday (below). It shows graphically what our growth chart has been telling us lately. 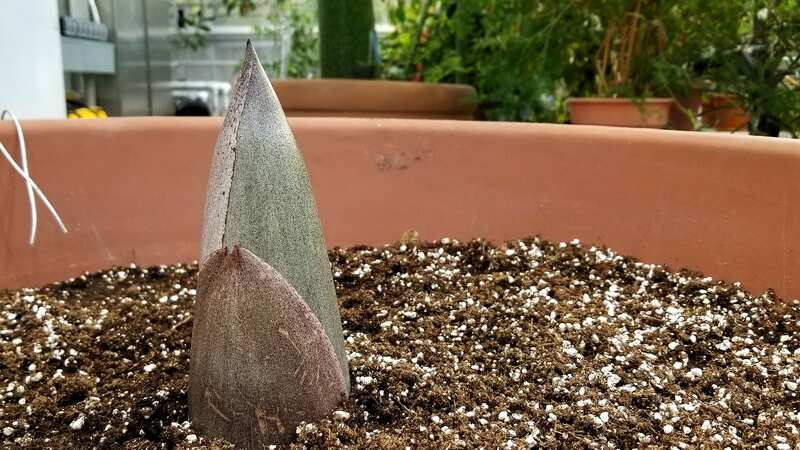 The plant’s exponential growth has slowed, indicating the bloom should come in the next few days. 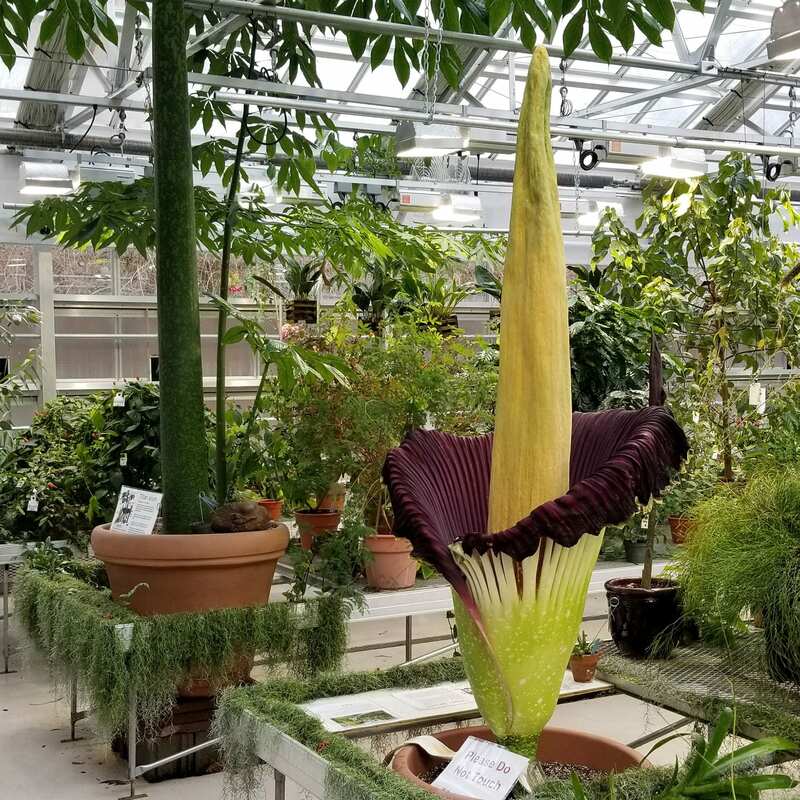 You can keep tabs on progress via the livestream, or sign up for email updates and we’ll let you know when bloom is imminent and what the extended hours to visit will be. Staff in the Liberty Hyde Bailey Conservatory rely heavily on biocontrol as part of an integrated pest management program that drastically reduces the need to spray for pests. In the case of ‘Wee Stinky’, they’ve enlisted the help of a predatory mite (Neoseiulus cucumeris) to help reduce populations of western flower thrips (Frankliniella occidentalis). These tiny thrips (adults are about 1 to 1.5 mm long) are common greenhouse pests and are particularly fond of feeding on the Titan arum’s spadix. The predatory mites (about 0.5 to 1 mm long) are particularly fond of feeding on immature thrips. 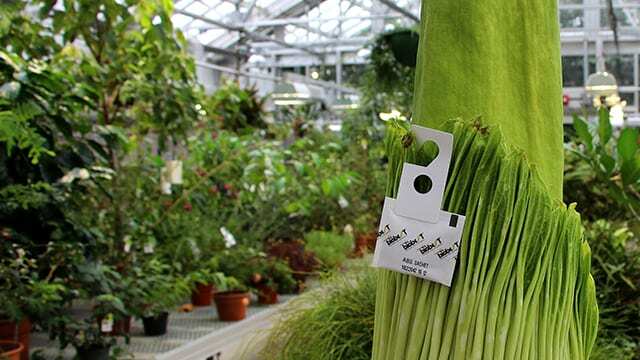 They are shipped to greenhouse growers in the small packets you see hanging from the Titan arum. 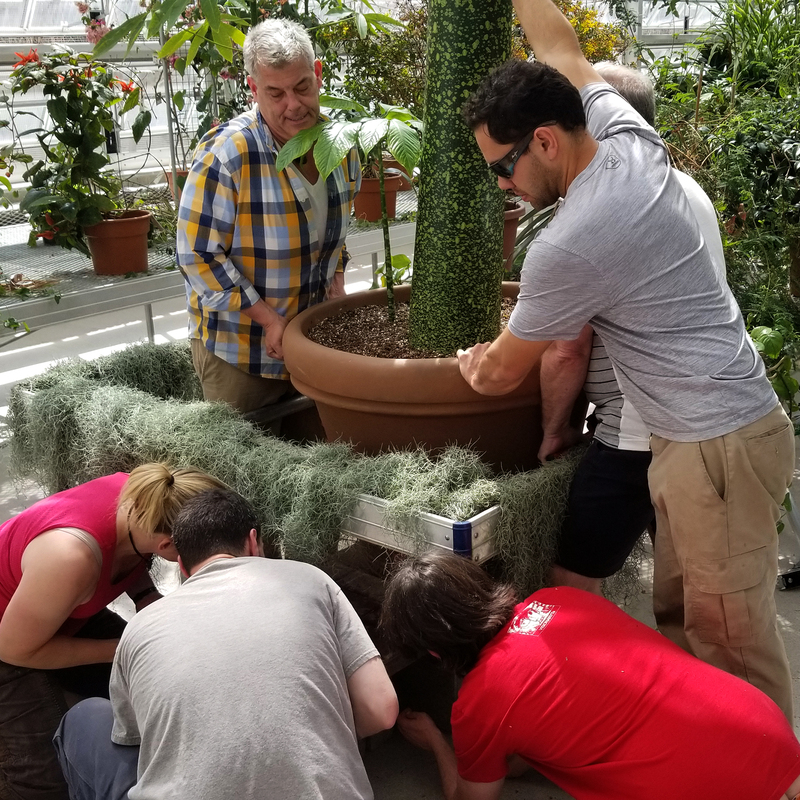 As you tour the Conservatory, you’ll see packages of other beneficial organisms that feed on mealybugs, whiteflies, spider mites and other plant pests. 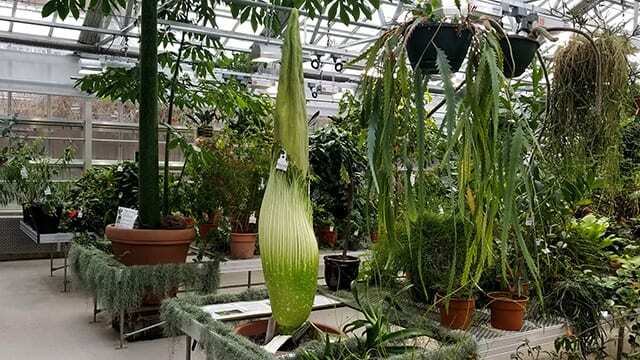 One of the Liberty Hyde Bailey Conservatory’s two flowering-sized Titan arums is preparing to flower, likely before the end of the year. When will ‘Wee Stinky’ open and emit its pungent aroma? It’s hard to say at this point. At just over 6 inches tall, it has a long way to go. 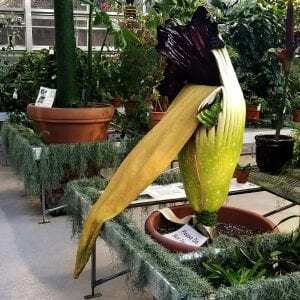 The last time ‘Wee Stinky’ flowered in October 2016 its spadix stood 87 inches tall. And we’re unsure how the short days and low light levels will affect the progress of this tropical plant. Our current estimate is sometime in early to mid-December. As we chart its growth, we’ll get a better idea. The Conservatory is open weekdays from 10 a.m. to 3 p.m. Stop by to view the Titan arums and the 600 other fascinating plants that make up this living collection. Need to recharge your batteries? Get a little plant fix? Stop by the Liberty Hyde Bailey Conservatory for a study break. It’s free and open to the public from 10 a.m. to 3 p.m. weekdays. With the longer days, many of the plants are pumping out flowers. 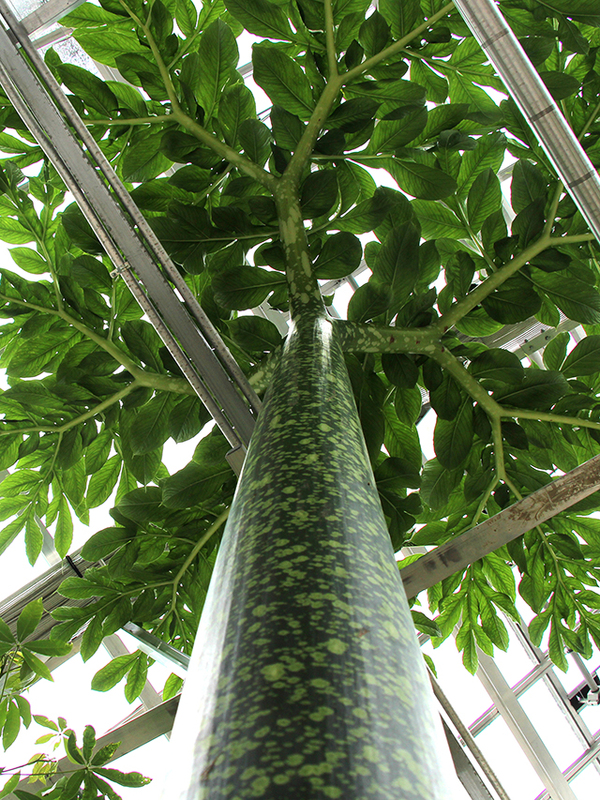 Carolus — one of our two flowering-sized Titan arums (pictured towering above the Conservatory’s rafters) — has just about fully leafed out in its vegetative stage just inside the north entrance from the Plant Science building. And the cacti, succulents and carnivorous plants are always worth checking out. The Victoria lily in the Palm House continues to pump out blooms. 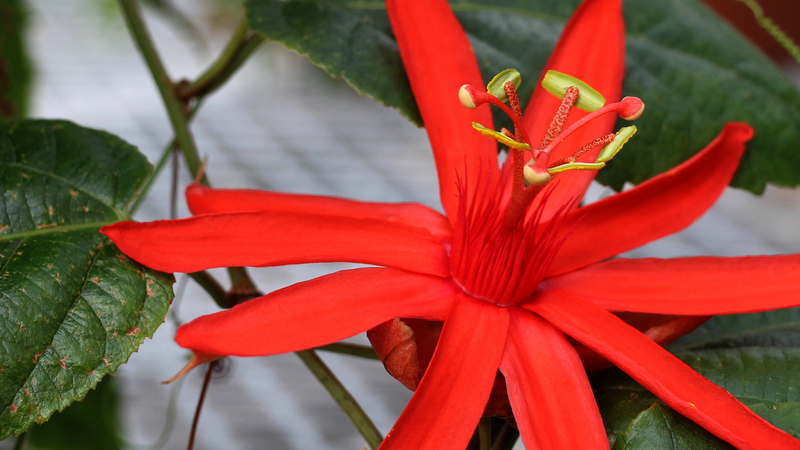 Passiflora spp. in the Student House. 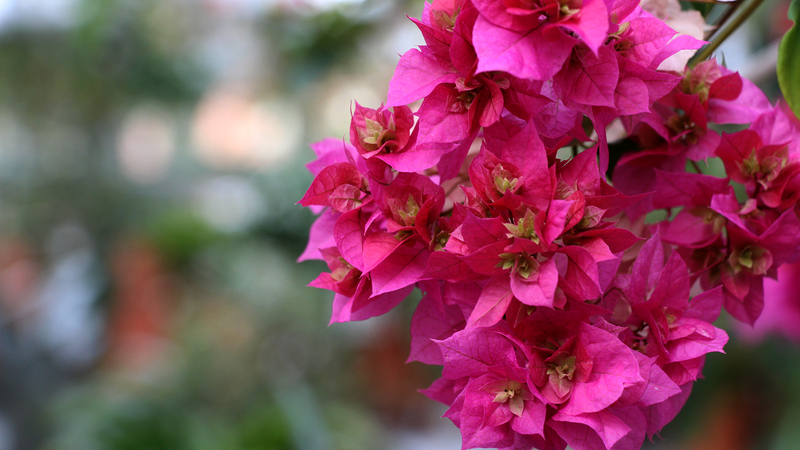 Bougainvillea spectabilis in the Student House. 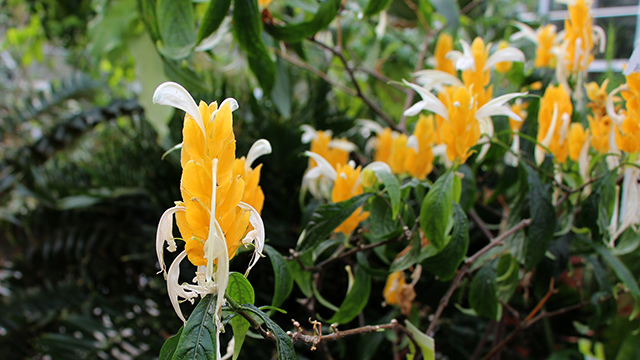 Pachystachys lutea, also known by the common names golden shrimp plant and lollipop plant in the Student House. Cornell University Agricultural Experiment Station (CUAES) greenhouse staff raise Carolus’s pot so that it’s leaf can open above the rafters. View time-lapse. Once again, the Victoria lily is flowering, having opened Sunday evening. Stop by for a look. Read more about this plant. After about a 10 day rest, the Victoria lily in the Palm House resumed flowering last night. Stop by for a look. Read more about this plant.